Low sugar, 100% natural snack-maker Adonis returns to PrimeStox to fund a major expansion. Founded by Ingo Braeunlich in 2015, the company is focused on urban professionals who want a healthy, 100% natural nut bar which also has low sugar. Adonis' last offer was successful. The business has more than doubled turnover to £25-30k. Today Adonis would like to raise £45k to fund their rapid growth. You can fund Adonis' production here. In return you can earn 8.8% profit in just 8 months or 9.3% PRIME. You'll also become a Friend of the brand. Adonis Foods Returns successfully raised £45,000 to fund the production of 2,250 boxes 212 days ago. Check back soon for more offers. Adonis Founder Ingo Braeunlich is a former City worker who after working long hours saw first-hand the weight and health impacts of sugary snacks. The company has been growing fast. Since last year they more than doubled turnover from £10k to £25-30k per month. Their first offer on PrimeStox was successful and repaid in full in May this year. Adonis' growth has come from more distribution channels and increased demand. Adonis Foods are different because their bars are 100% natural and low sugar, designed for urban professionals. They are also growing not just in the UK but also in Europe. Adonis Bars do not cause a blood sugar spike since they contain no date-based additives or sugary fruits, Their bars provide slower release energy, without compromising on taste or nutrition. And NEW Turmeric Orange bar! Adonis Smart Foods is seeking to double its production run size. The company sells between £25-30k per month of which up to £17k is through Amazon. They also have three trial listings ongoing with major supermarkets including Sainsbury's and Holland & Barrett. Adonis is also sold in 6 European countries and are stocked in more than 10 warehouses. To satisfy this demand they must increase production. 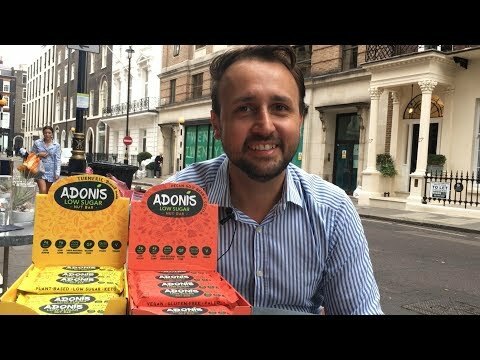 Adonis is asking for your support to raise £45,000 from PrimeStox investors to fund the production of 2,250 boxes (60,000 bars). In return they propose to repay in just 8 months plus 8.8% profit or 9.3% PRIME. That's an annual equivalent rate of up to 14.3% PRIME, backed by the product. You'll also become a Friend of the brand.